Celebrating exponential Women around the world and beyond focused on solving our global grand challenges using technological innovation that has a 10X impact. The event will be held at Columbia University. Space is limited to 40 people so please respond ASAP if you'd like to participate. In the age of exponential technological advancement that is shaping the ways we connect, govern our society and operate our businesses, it is essential to fine-tune our channels, deeply understand our minds and connect to the true nature of our being. Join us to reset your system to a default state of peace and happiness, explore what it means to be an awakened leader in the modern age and learn how to powerfully guide the future of humanity. 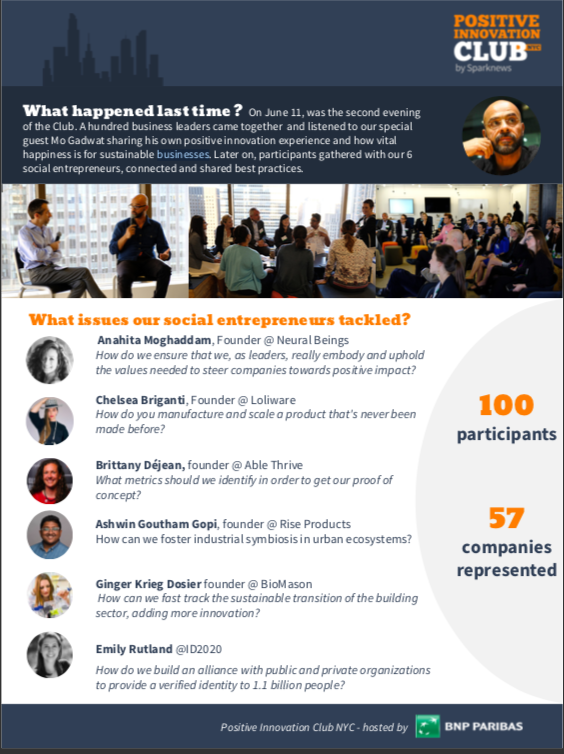 This immersive day retreat will be led by celebrated writer and speaker Mo Gawdat, the former Chief Business Officer of Google X (Google’s Moonshot Factory) and author of Solve for Happy, and Anahita Moghaddam, leadership coach and the founder of Neural Beings. Our dominant workplace culture is one that prioritizes and rewards patriarchal values. Often women learn to adapt and over-compensate, at the expense of their happiness and wellbeing, or passively accept supporting roles, sacrificing fulfillment and the opportunity to truly excel. This vicious cycle, not only takes its toll on women, but also on the overall success of organisations and the world at large. For the past seven years, Mo Gawdat (Chief Business Officer at Google [X]) has been on a mission to make 1 billion people happier. His book, Solve for Happy argues that if we shape expectations to acknowledge the full range of possible events, unhappiness is on its way to being defeated. Mo will be joined by Anahita Moghaddam, a NYC-based coach and organizational trainer whose methodology draws on Contemplative Science, and together they will explore the reality faced by women in the workplace today, offering personal insights and applicable tools from their individual fields of research, to gradually reverse the cycle of disconnect and unhappiness. What would define the experience of women in the workplace if values were not compromised, and self-knowledge and deep-self awareness became unwavering guiding principles? Applying these principles to the specific challenges faced by women in the workplace is the focus on this compelling and instructive session. Please register as soon as possible, the seats are limited. Workshop at a weekend retreat in Bali for Singaporean/Asian business community. 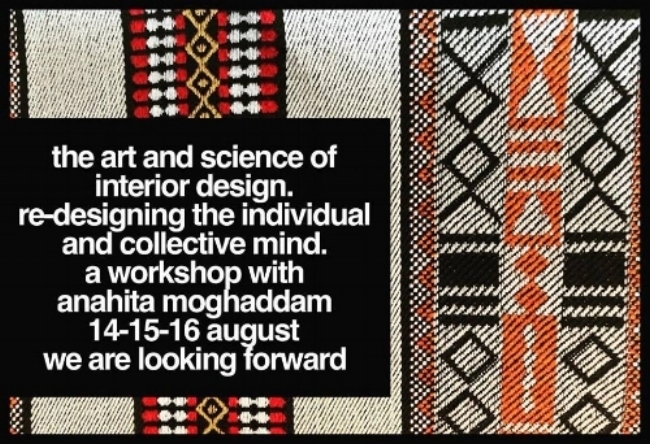 The Art & Science of Interior Design: Re-designing the Individual and Collective Mind. This workshop is rooted in Contemplative Science: the convergence of the Eastern contemplative traditions and modern neuroscience and psychology. We will explore a world where happiness is the norm! Atelier en anglais. Mo, is the former Chief Business Officer of Google X, and the author of Solve For Happy (translated into 28 languages). Mo’s mission was triggered after losing his son, Ali, due to a surgical error during a routine operation in 2014. In honor of Ali, Mo made it his life’s mission to share his engineering-model of happiness with the world. His recent project, OneBillionHappy.org, is dedicated to spreading the message of happiness to a scientifically-minded, young, modern and global audience. 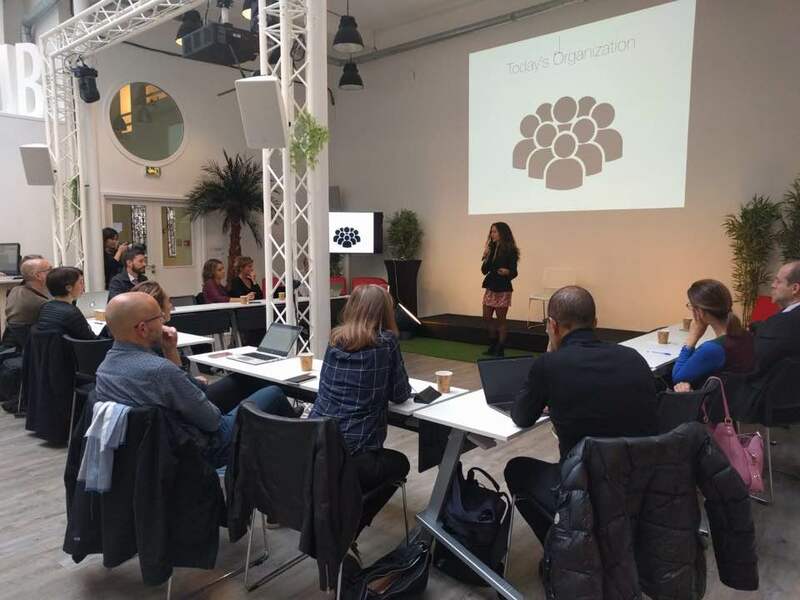 Both Mo and Anahita lead workshops around the world, speak at conferences, and bring their insights into organizations at the forefront of innovation, technology and finance. Anahita's company, Neural Beings, is rooted in Buddhist psychology and modern science, and offers a contemplative perspective to the topic of happiness. Her workshops are based on the Four Noble Truths, explained through the lens of modern science. She has brought the teachings of the Four Noble Truths to Wall Street firms and technology conferences, leveraging Mo’s platform, which he generously shares with her. Anahita also serve as Chief Mindfulness and Ethical Officer at a New York-based technology and investment firm. Individually, and as a couple, Mo and Anahita dedicate their lives to alleviating suffering and spreading the tools for happiness. The speed of technological advancement has led to rapid globalization and the transformation of how people interact with the world. While technology has vastly improved digital connectivity and scientific breakthroughs, it has simultaneously created an illusion of the separate self, which in effect has been pushing our species and planet to the brink of collapse. As Mo Gawdat emphasizes in his mission to make #OneBillionHappy, "1 of 4 people in the world is clinically depressed and teen suicide is at an all time high. Life expectancy is better, but we’ve never been unhappier". With technology such as AI, will the human race face extinction or evolve to peacefully co-exist with each other and the natural world? Is it possible to leverage exponential technology to advance happiness? During this discussion moderated by Peace Accelerators co-founder Susanna Choe, we’ll be evaluating human evolution through the lens of the engineering, science and spirituality with Mo Gawdat, Anahita Mogdhaddam and Deepak Chopra. Deepak Chopra, M.D., F.A.C.P. is the co-founder of the Chopra Center for Wellbeing, the founder of the Chopra Foundation, and a world-renowned pioneer in integrative medicine and personal transformation. He is board certified in internal medicine, endocrinology, and metabolism. He is a Fellow of the American College of Physicians, a member of the American Association of Clinical Endocrinologists, and a clinical professor in the Family Medicine and Public Health Department at the University of California, San Diego. Mo Gawdat is the author of Solve for Happy: Engineer Your Path to Joy, an international bestseller translated in 28 languages. After working for IBM and Microsoft, he landed a job at Google and helped start the platform in more than 50 emerging markets across the Middle East, Africa and Eastern Europe. He then joined Google [x] as chief business officer and lived at the cutting edge of technology. He left Google [x] in February 2018 to dedicate the rest of his life and resources to his mission #onebillionhappy. 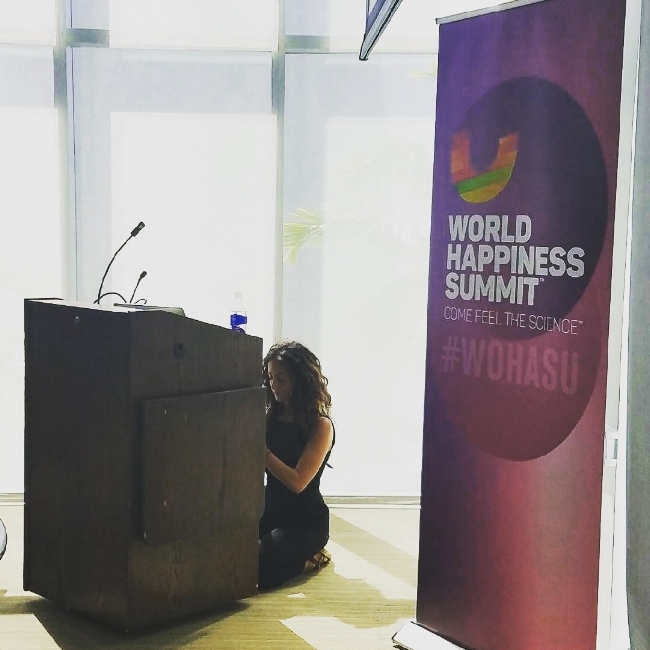 Anahita Moghaddam is the founder of Neural Beings, and a coach and speaker who’s rigorous and experiential methodology is rooted in the Eastern contemplative traditions, and continuously refined under the mentorship of leading scientists and academics in the fields of psychology, philosophy, neuroscience and biology. The pursuit of happiness is one thing we all share in common. Yet if we all so fundamentally want to be happy, why aren't we? Why does happiness seem so challenging to achieve and maintain throughout our lives? Take a dive into your mind in this interactive discussion on the science of happiness, explained within the frameworks of Tibetan Buddhist psychology and neuroscience. Beginning with a guided meditation and evolving into a talk and guided discussion, we will take a realistic look at the nature of the mind, and explore practices that help us cultivate mental resources to gradually reverse the wheel of suffering, making compassion, kindness and joy a spontaneous and lasting trait. Please join us for a dinner and discussion at our first speaker series spotlighting: The Science of Happiness. 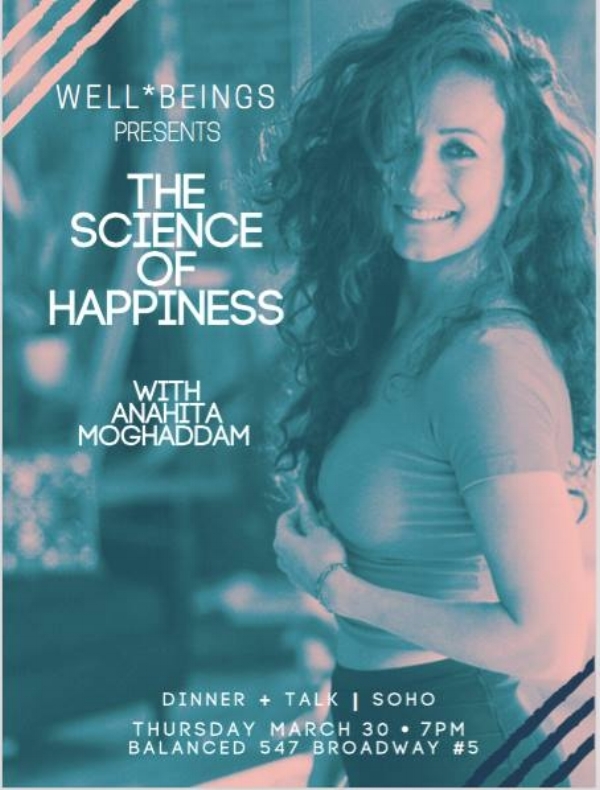 We will host Anahita Moghaddam at Balanced NYC (a co-working space and lounge for the meditative entrepreneur) for a replenishing evening filled with conversation, interactive reflection and nourishing food. Mindful Willpower is the practice of emotional self-mastery with the goal to positively reshape our response to our internal and external realities. In this provocative training we uncover the fundamental difference between wanting something and willing it – and nurturing the causes and conditions that make it a powerful and deeply inspired state of being. The mastery allows us to tap into our mind’s unbound creative nature and helps us shift from powerlessness and dependency to self-directed ease and empowerment. Forward-thinking organizations understand the positive impact self-regulated leaders and key employees have on corporate health and human development. This state of self-directedness is often coined as a “high emotional IQ or EQ”. It is a key attribute that distinguishes successful leaders and communicators. They are more effective leading others, inspire excellence, optimize performance and promote a sense of ease and wellbeing even when under pressure. Conflict decreases and the innate capacity for creative thinking and working increases. Taking responsibility for our own happiness requires imagination, courage, resilience and a great deal of discipline. By developing a sense of curiosity about the human condition and questioning the causes for unhappiness, we begin to gain insight into ways we can reverse the wheel, cultivating the inner resources for deep lasting happiness.